Zubin is really passionate when it comes to football, especially Liverpool Football Club. Apart from this, I indulge in long hours of conversation with my friends (about football), drink (watching football), and sleep (dreaming about football). 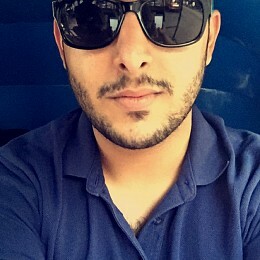 Other than that, he works with a 360-degree digital marketing agency. Steven Gerrard has been and forever will be one of the most prolific players and leaders that Liverpool Football Club can pride itself on. But, as the saying goes, never look for happiness where you once lost it. Gegenpress! Just like how Adam Levine showed up at random weddings singing Sugar, unannounced, this attractive football style has taken the English Premier League by storm. The only thing that is good about hindsight is the fact that it is already over! Is it safe to assume that the dark clouds over Anfield Road have drifted away? Does football need a post-match referral system? What in the late 70s and early 80s was seen as a good challenge for the ball is nowadays deemed as a reckless and rash challenge. He stands six feet tall, he smashes the ball in from a good 40 yard. His name is Steven Gerrard. 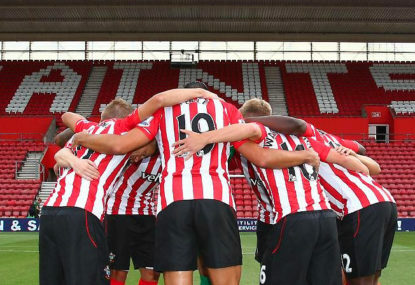 In the last five years Southampton have impressed every football fan around the world. Their journey from League One to the Premier League has been nothing short of a fairytale. After a compelling season where Los Blancos went on to claim their record 10th Champions League trophy, Real Madrid are now being primed for yet another assault on Europe’s premier competition. The English Premier League season is just a month old but it already looks like Chelsea are going to run away with the title. 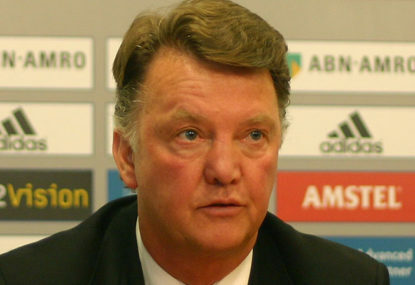 Where is Manchester United going wrong? Just two points from their first three games and getting dumped out of the League Cup by MK Dons in a season with no Champions League football is not something that a Manchester United fan is familiar with. Hence, the question arises, where did it go all wrong? Hey Juzzmonk, the EPL is surely the best and most exciting league in the world. The top four race is surely heating up. As a Liverpool fan, I am glad we are not in the middle of the dog fight and are fighting for the title. However, in my opinion, more than Arsenal’s defence flopping ( which they have been for the last 3 seasons), I would have rather fit Chelsea under Sarri in there. He came with a reputation of attacking football, started the season very well only to have hit rock bottom now. What do you think? Hi Dhruvh, I respect your opinion a lot, given that your football loyalties lie with the Reds of a different shade. I do hope that your words ring true and Klopp drives us to some trophies. The direction is visible, getting over the finish line is something that has been a problem, I am sure that will be resolved soon! I believe that Klopp will certainly prevail. Hey Ajay, thanks for taking some time out and having a read. I am glad you liked the article! From a totally biased point of view, and let’s be honest my point of view will be biased, the finals we played we lacked the experience and temperament to come out on top. I do believe if this current team, gets to play 90 minutes with its best players on the field, we will come out on top. I will not lie one bit, as a Liverpool give that we are on the upward graph and teams that were fairing better than us a couple of years back are now looking to replicate our model is very satisfying. But yes, I am well aware that there is still a lot for us to achieve as a club! Fingers crossed he will. He is surely taking us in the right direction ???? Thanks for taking the time out. YNWA! I am sure Klopp is frightening in his own way. Haven’t you seen the images of him yelling at referees? I am sure the players get a dose of wrath. One of the major reasons we see good reactions after games we’ve drawn and lost. But yes, I do understand what you mean. I agree 100%! As of today, there is no one who fits the club ethos any better! There are no doubts at all about the Paisley and Fagan era, the reason I mentioned only Shankly here is given the amount of similarity in the personalities of Klopp and Shankly. And yes, Klopp has gotten the great football back to Anfield, I am sure the cabinet will have some additions in the near future too! 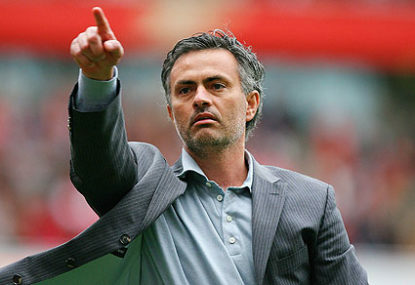 I totally agree if there is one guy who knows how to break play up and slow the game down it is Mourinho. Yes, Liverpool on more than one occasion has been precarious at the back. The pace of Lingaard, Martial and Rashford could hurt us. I am dreading their wingers against the pace of Milner at LB. About set-pieces, I can most certainly expect us to concede through one. If Lallana is not fit, I could see Klopp start Emre Can ahead of Lucas. He provides a better work rate and fits in defensively when required as well. He has a tiny height advantage, but also has better speed and age on his side. However, the best case for us is to have the same eleven playing and a full stadium. With the capacity having gone up, this derby has a chance of being one we remember for a long time. Thanks Ed. Shall post similar articles tactical based articles in the future. However, as I mentioned in the article, if Gerrard is given a role with the under-23s who have over idealized him and know his story it could work wonders for the future. Having successful ex-players moving into coaching roles can have a long term impact on the way the next generation develops. If he does return as a coach, he being one of the very few home grown personalities, will add a very different dimension to the way the players will train and create a connect with the club. So, having him return in a capacity of coach of the under-23s may not be a bad idea in my opinion. As for the first team, Klopp has to stay. No questions about that at all! Red Panther, I could not agree more with what you have to say. It would certainly be great for Liverpool to hold on to Jurgen Klopp for as long as they can. He has really transformed the club in the one year that he has been there. Improving the team morale, making Liverpool a preferred destination for players and bringing back the feeling of oneness between the players and the fans. Vas, I am quite eager to how Jose sets his team up for the derby. As you said I am expecting them to sit back try and hit on the counter. As you mentioned United have a front-line with quality that can hurt us given how Liverpool have been defending, but the fact that the entire defensive line of Milner, Matip, Lover, Clyne and Karius are all not going for international duty & will be training at Melwood should help improve communication and hopefully stand stronger than they did last time these two met in the Premier League. I expect Adam Lallana to do well, if fit for the game. The United defence will be quite preoccupied with Firmino, Mane and Coutinho. That is how Lallana is quietly notching up goals and assists this season as compared to earlier. Promises to be a fun match up! I am sure that with the passage of time EPL teams and other managers will find a way through Gegenpress. However, as you mentioned it is a refreshing style of football which has now come to EPL. Surely Klopp has a ‘plan B’ just in case. Origi’s height could see them play a lot more direct from the wings if need be. Yes Debayan, physical fatigue is surely something that can hurt the challenge for finishing in the top four (still too soon to talk about a charge for the title). But one thing that is working in Liverpool’s favour is the fact that they have no European distractions and as you mentioned decent squad depth. Players like Emre Can, Divock Origi, Daniel Sturridge, Gruijc etc. are all really good players to look to for either closing down a game of chasing one in the last few minutes. Klopp for the Kop is surely working out! Coming from a Chelsea fan, thanks. I agree with every word you have to say. Klopp has had a massive impact on the team. Other than just the players, he has cleared the dressing room of deadwood reducing the wage bill, taking hold of transfers as well as creating a great connect with the fans. He is a huge influence both on and off the pitch. 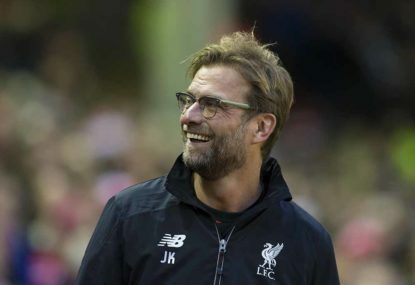 Klopp is also getting his tactics inch perfect, hope that the team is able to continue this form and play at this intensity for the entirety of the season. Good time ahead! James Milner may not be a world class LB, and yes has played most of his football in midfield, however when you look at his work rate, his ability to get the ball into the box as well as being the designated penalty taker, he makes up for it and has a very important role to play in the team. He has mentioned that LB is not his preferred position but has also said that he is ready to do whatever the team needs him to. Burnley was overall a very bad game where we had much of the ball with no end product. However, compared to what we have in Moreno, Milner is an upgrade and as I mentioned earlier, with Gomez coming back in a couple of months, we will have one proper LB in the mix. The only silly goal we conceded was the one to Spurs, and maybe the one Ox scored in the opening game. But as for clean sheets, this entire season in the first 6 game weeks, there have been just a total of 25 clean sheets in 60 games played. To win a game you need to out score your opponents, and this season seems to be one which will be a high scoring one rather than one which will be won with the odd single goal. Did not mention winning the title at all. But if we manage to keep putting in the work rate the team currently is, it’ll help us push into the top four. As per the makeshift LB, Joe Gomez will soon be fit, expect him to slot in there. 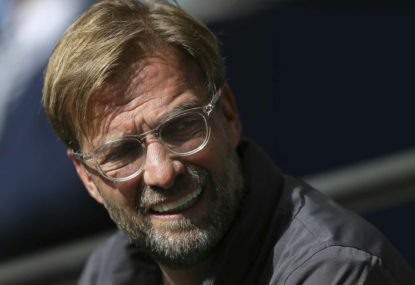 One other thing which LFC missed for years was squad depth, the fact that players like Emre Can, Daniel Sturridge, Divock Origi etc are on the bench means that we have a squad that, if not for the title, (given the way Manchester City has started the season) can surely fight for a top four finish. Do not forget, we have no continental football commitments this season which other big clubs around us do, the last time that happened was in 2013/14 and we finished second that season. The addition of Sadio Mane has been key. His pace and eye for goal is super. The best from Georginio Wijnaldum is yet to be seen, while Adam Lallana has turned his career around. 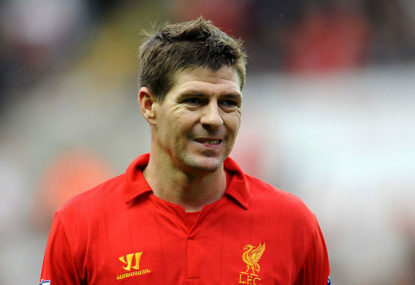 As lovely as the goal was, we should wait to compare him to SG8, but yes he is consistently improving. Still shaky about the defending though. Needs to get sharper and tighter. Well, hopefully those days are behind us Danwain. The way LFC has started the season finishing sixth would really be heartbreaking. Picking up away points off of bigger rivals and playing a gengenpress that is really hard to cope with, Klopp is steadily giving the team a shape that is very hard to contain. He is undoubtedly one of the top managers out there. A fervour that is possibly unmatched. The passion for the game that he exudes and his honesty is something that makes him very likable too. Ciudadmarron, I completely understand your opinion. But in my opinion, a ‘post match referral’ can be used in order to punish those players when a reckless tackle is missed by the referee or withdraw those cards that the referee issues by mistake. It can also be used to reprimand players who blatantly dive. Something like this will not alter the score line. If this kind of a system is put into place, the game will not have to be stopped during the run of play. 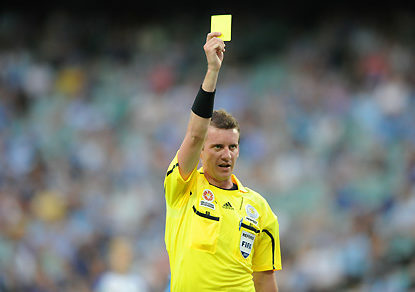 Giving a ban to a player for simulation and correcting a wrongly issued card is certainly a start. Just like the goal line technology, this will certainly aid the referees and not undermine them.